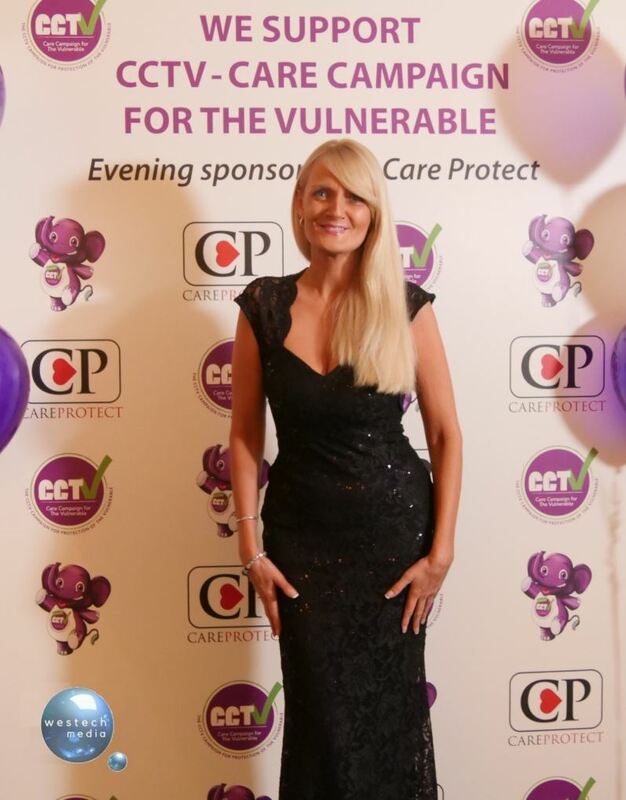 GERRARDS CROSS, England - Oct. 5, 2017 - PRLog -- Big Brother finalist Jayne Connery has organised and hosted a charity gala, in order to campaign for better protection of elderly people in care. The 50 year-old reality TV star and former model decided to launch the CCTV - Care Campaign for the Vulnerable, after her own mother Ellen was assaulted whilst in care. The aim of the campaign is to make CCTV in care homes mandatory. Jayne only discovered the abuse her mother had suffered, after she received a heart breaking phone call from a whistle blower working at her mother's care home, informing her of the assault. "My mother Ellen was abused in her first care home. She was slapped across the face, that might make you uncomforatble hearing this, but it was fact and it was proven, hence why I am so passionabte about CCTV being mandatory in all care homes in the UK." Jayne's tireless efforts have taken her campaign from her kitchen table, all the way to the door of 10 Downing Street, where she delivered a petition of over 13,000 signatures calling for a change in the law. "What drives me on is the heart felt messages I receive daily and have done since this campaign started. And the reason this campaign has gone so well is because of everyone's passion and understanding." With so much already achieved and with so many people from all parts of the UK becoming involved, the next logical step was organise an event to bring them all together. Jayne chose a charity gala at the Crowne Plaza hotel in Gerrards Cross. The event was introduced by Jayne and followed by a speech from Phillip Scott CEO of Care Protect, and finished with live music from The Rhetoriks. The event had special guests Linda Lambert, star of the Storage Hunters; Karin Flowers founder of Celeb FC; and actress Victoria Lynn-Hamilton. So, is this event the final end to the campaign? "Absolutely not," says Jayne, "our next step is to become a registered chairty, which will enable us to take the campaign even futher." Special mentions must go to the Gerards Cross Rotary Club, Manj Uppal from Carlton Court Care Home, Stephen Bagness - the gala photographer, The Crowne Plaza Hotel, Ben Wilson and Phillip Scott from Care Protect, Elle Mariachi and Jay Active from The Rhetoriks, Kevin Devine from Monkey Work Management, David Scott from Mr Karma Productions and finally photographer Stephen Bagness. Special thank you to David Scott from Mr Karma Productions for providing thier video and recording equipment and to Russell Spencer from Westech Media for covering the event.